Last week I mentioned I have discovered some lovely new toy making kits for Cottontails. 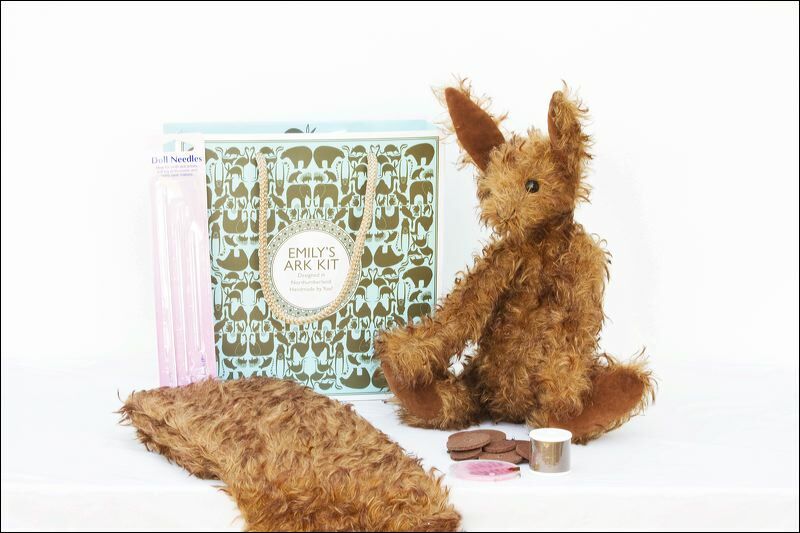 Emily's Ark, a small company based in Northumberland, design and assemble toy making kits which include everything you need to create your own beautiful soft toy animal (including some truly gorgeous mohair fur). I have ordered the kits for George the rabbit (or is he a hare? I'm not sure - what do you think? 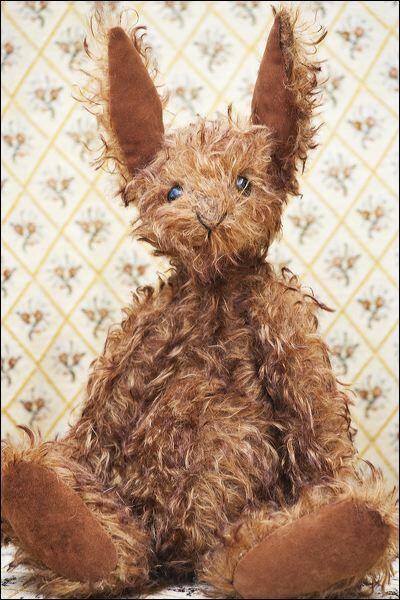 ), William the bear and Archie the Aardvark. They should be arriving at Cottontails soon and will sell for about £30. How precious! reminds me to start my pompom animals for Easter...thanks for the share and the reminder! Ah Catherine - I'll probably be coming to you for a few pointers... Goodness knows how I'll cope with joints etc.. But I am assured the kit is suitable for beginners like me, so fingers crossed I won't create something so awful that it'll put people off! !